Lawyers in the Workers’ Compensation Practice Group provide a broad range of legal services to, and aggressive representation of, employers, insurance carriers, third-party administrators and insurance brokers regarding the defense of workers’ compensation matters in Pennsylvania and New Jersey. 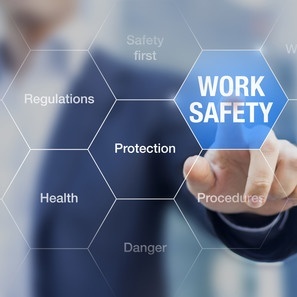 In addition to the more traditional defense of workers’ compensation claims related to compensability and disability issues, our lawyers provide legal advice regarding administration of claims, loss prevention, third-party subrogation liens, establishment of safety programs, union negotiations and contract language. We handle all phases of litigation from the Workers’ Compensation Judge level through all appellate boards and courts. Our workers’ compensation team includes lawyers with expertise in hearing loss claims and occupational disease claims. We have become active in reviewing and commenting upon proposed rules, regulations and legislation in the workers’ compensation area to ensure that our clients’ views are heard. We are also available for seminars regarding Workers’ Compensation Act amendments, case law updates, regulations, administrative procedures and general handling of compensation matters. It is our philosophy to provide the highest quality legal representation in workers’ compensation matters efficiently, thoroughly and for the lowest possible cost to our clients. Working closely with in-house staff, third party administrators and insurers, we offer training that assists clients in implementing procedures to reduce costs. Once a decision is made to litigate a claim, we aggressively defend our clients’ interests in an effort to minimize losses. Recent Developments in Workers' Compensation: Are we Seeing the Demise of Labor Market Surveys? Court Confirms That "Medical Only" Means "Medical Only"